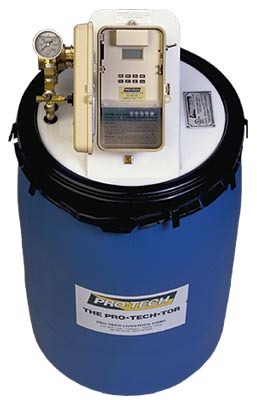 Tri-County Barns is proud to offer the Pro-Tech Automatic Spray System which can be installed in existing buildings or installed at the time of construction. Not only are the systems highly durable providing a long life, but also spray a very effective and environmentally friendly insecticide called Py-Tech. Py-Tech is made from pyrethrum a natural insecticide found in chrysanthemums. This low odor insecticide effectively eliminates flies, mosquitoes and other flying insects which is a breeze using Pro-Tech's fully automatic application systems.